Whether you would like to take out a car loan or think a Jeep, RAM, Dodge, Chrysler lease is the best option for you, Salt Lake Valley Chrysler Dodge Jeep Ram is here to work with you to find the best option. We have automotive financing experts on staff who can work you through all of our wide array of options to find the right one for your new Jeep Cherokee, Jeep Renegade, RAM 1500, Dodge Journey or Chrysler Pacifica. And we’ll work just as hard for you if you are in the market for a pre-owned car instead. If you are ready to get started on the process, fill out one of our contact forms online, which is the simplest way to get in touch with our finance or sales department. 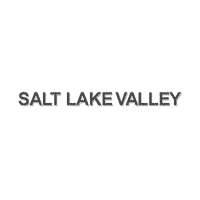 But, if you would prefer to speak in person, we are conveniently located in Salt Lake City, and we proudly serve the entire surrounding South Salt Lake, West Valley City, Sandy UT and Bountiful UT areas as well.